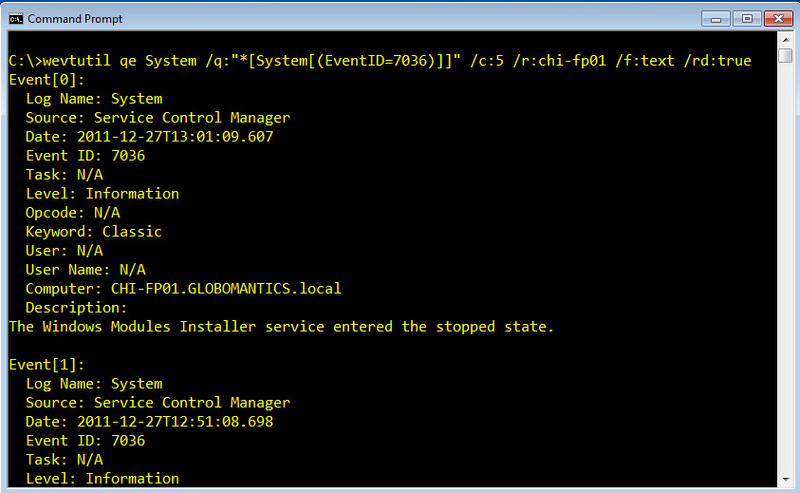 Windows Events Command Line Utility. 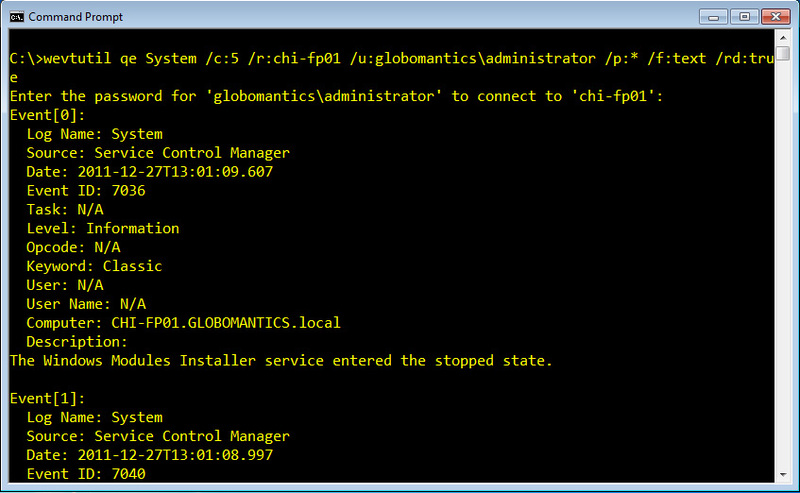 and uninstall event manifests, run queries, and export, archive, and clear logs. options and option values ​​are not case-sensitive. "/ q: * [<logname> [(<xmlvalue=value>)]]"
But you need to be careful, because the uppercase and often there must be absolutely accurate. Instead, we log file name explicitly specify the path to the XML query and set parameters / sq to True. Without Event match, the system will not return any relevant data. In the next article, we will together see more about how to manage the Event Log. I wish you success! ﻿﻿﻿﻿﻿The Event Log Explorer implemented the possibility to export data and generate reports . You can export the logs as a whole, combining several magazines , all sampling events and individual events in Microsoft Excel , CSV - text, HTML , etc. Report Generator allows you to print a variety of presentation and event logs , and create analytic reports .Built-in scheduler allows you to automate the regular export of data , including pooled from different magazines and filtered , and automatically print reports.